Toronto’s Bloor-Yorkville area continues to establish itself as an important fashion hub. Toronto Fashion Week has just concluded at Yorkville Village, marking the first time that such an event has been held inside of an enclosed shopping centre in Toronto. 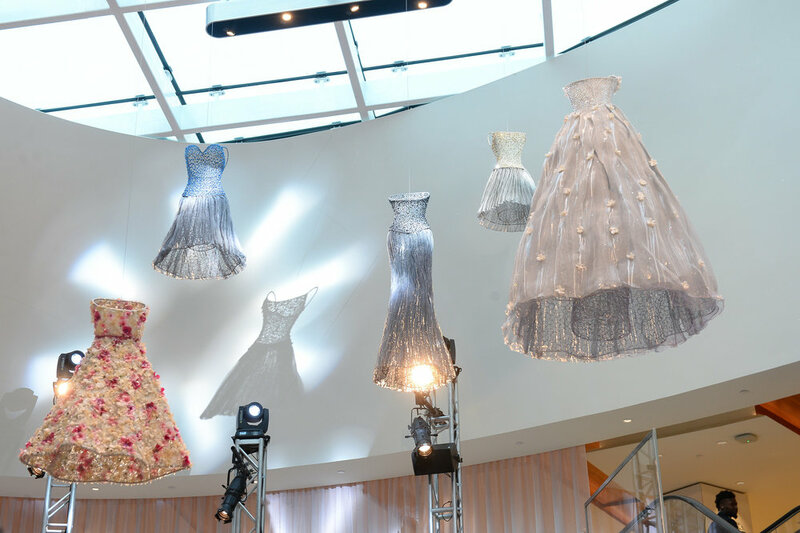 Hosting a fashion week in a shopping centre made sense — several of the brands on the runways already have a retail presence in Canada, while other brands are looking to gain a foothold in the market. 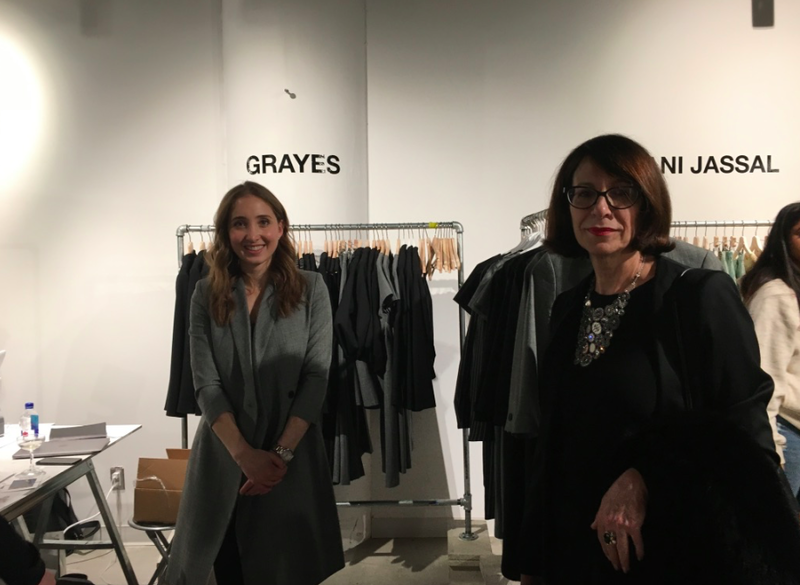 Part of the Yorkville Village centre included a multi-brand pop-up space in partnership with RE/SET, where runway designers and other designers had the opportunity to sell their wares to the public. This is becoming something of a trend — at a time when consumers can get what they want when they want it, many designers are seeing value in offering the ‘instant gratification’ of selling runway pieces immediately after shows. A list of designers with descriptions at RE/SET can be found here. 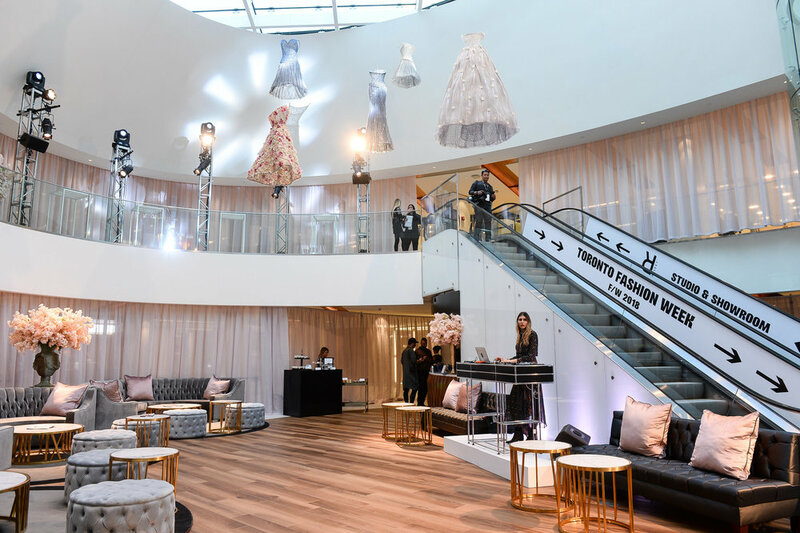 The Yorkville Village shopping centre, formerly Hazelton Lanes, was transformed into an event space that included runway shows, a lounge, and other gathering places for guests. The main runway area was created by temporarily enclosing ‘The Lane’ which connects the Yorkville Village centre to Yorkville Avenue. Enclosing the outdoor space made sense, as did hosting a fashion event in an enclosed mall — this week was a particularly chilly one in Toronto, and the tent-set-up seen during September’s Toronto Fashion Week might have been a challenge to keep heated during a much colder February. Toronto Fashion Week came under new ownership when In December of 2016, developer and businessman Peter Freed announced the purchase of Toronto Fashion Week from IMG Canada Ltd. — founding sponsors included The Hazelton Hotel, Hill & Gertner Capital Corporation and First Capital Realty’s Yorkville Village. First Capital Realty played a particularly significant role in the event this year, including housing the shows themselves within its Yorkville Village property. 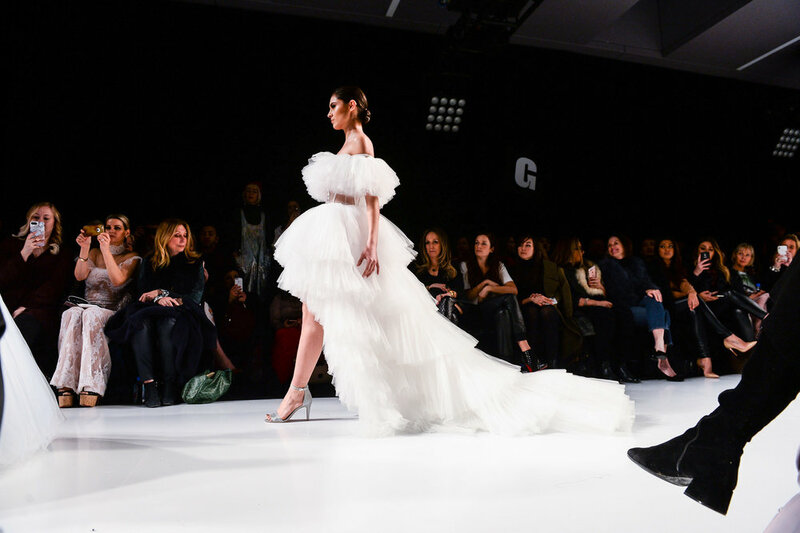 -Highlights from Day 3 of Toronto Fashion Week F/W 2018. Toronto Fashion Week concluded with a fundraising fashion show called Fashion Heals, which was in support of SickKids Hospital. Hosting Toronto Fashion Week in Yorkville is part of a plan to maintain a fashion focus in the neighbourhood. 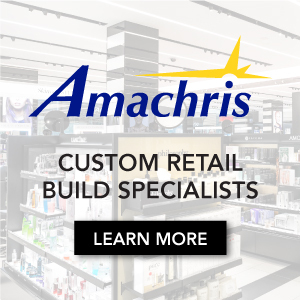 The area is seeing a steady stream of new retailers open stores in new developments, which is transforming Yorkville into a world-class, high-density area in a similar fashion to London’s Mayfair, New York City’s Upper East Side, or Chicago’s Gold Coast. In some respects, the dynamic makeup of Yorkville, including its mix of historical buildings and new modern construction nearby, is creating an environment unlike any in the world. The Yorkville Village shopping centre has seen in excess of $100 million in renovations by landlord First Capital Realty — retailers such as Belstaff, Nanni Couture, Jean-Paul Fortin and Via Cavour opened in September of 2017, followed soon after by TNT Concept, Eleventy and Chase Hospitality Group’s 'Palm Lane' restaurant. Belstaff is a first in Canada and a second store for the brand in North America, and Eleventy is the Italian brand’s first freestanding store in North America. Other recent additions include the stunning Galerie de Bellefeuille art gallery, located across the hall from a recently opened SoulCycle location. The Yorkville neighbourhood is having its own ‘fashion moment’, made possible in part by billions of dollars of area investments. First Capital Realty is partly responsible for this — the landlord has been buying commercial buildings in the area for several years, in an attempt to create a mix of tenants that is compelling, diverse, and luxurious. This mix includes restaurants and retailers, including some notable luxury brands. In November of 2017, a milestone was reached when Chanel unveiled its 8,550 square foot flagship at 100 Yorkville Avenue, and First Capital Realty is developing other commercial properties nearby — the 102-108 Yorkville complex, now under construction, will house Jimmy Choo, Brunello Cucinelli, Her Majesty’s Pleasure and other tenants, while a newly built 101 Yorkville Avenue will eventually house a mix of luxury retailers and restaurants in a unique ‘mews’ configuration that will create a pedestrian passage that will span from Bloor Street West to the south to Scollard Street to the north. Various other luxury brands have been opening stores in the immediate area — Christian Louboutin and Off-White have stores on Yorkville Avenue, and a Richard Mille boutique recently relocated to a spectacular space on the second floor of 135 Yorkville Avenue, above pricey streetwear retailer CNTRBND. Further away from Yorkville Avenue, retailers have been opening stores along Bloor Street West as well as on adjacent streets — the area is experiencing an incredible transformation that will see the addition of thousands of new residents, as well as billions of dollars worth of commercial construction. There’s so much activity in the area that we’ll be dedicating separate articles in the coming weeks to provide updates, including a comprehensive overview of Bloor Street West, which is seeing significant changes between Yonge Street to the east and Avenue Road and beyond to the west.